The Swing Dance Series has been moved to a new location at Red Sky Stage in Petoskey. A great way to experience the magic of the 30’s and 40’s big band sound and the dance styles popularized by the music. Lindy and Jitterbug Dance styles are taught as well as other ballroom styles and the Up North Big Band provides music with an 18-piece “Big Band” and all the high energy tunes from that era. 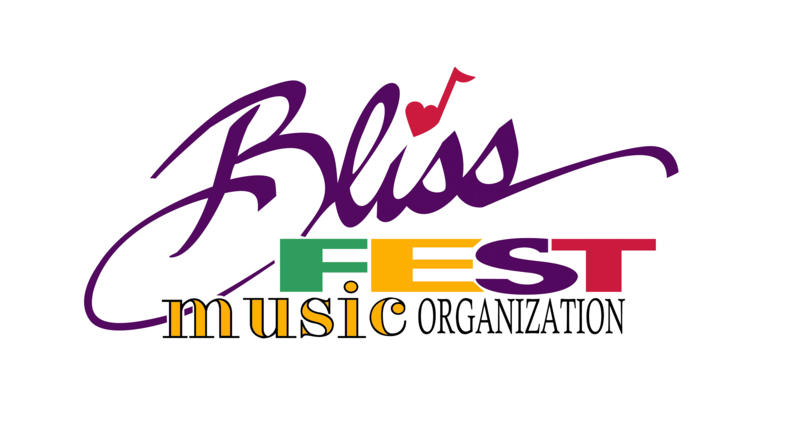 The Blissfest Music Organization supports this series as part of our commitment to sharing cultural heritage and providing a great way to socialize like folks used to before T.V. Beginners are welcome with instruction starting at 6:45pm. 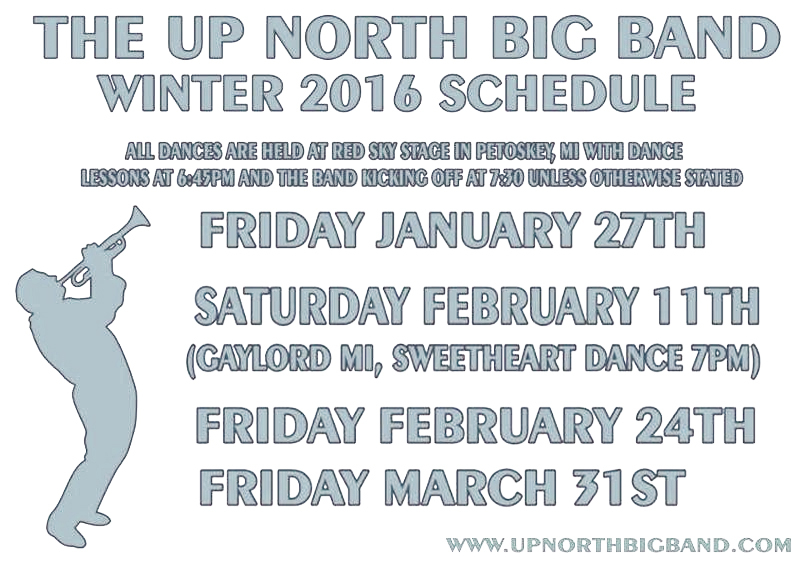 The Up North Big Band is a community-based group of musicians dedicated to the preservation of Big Band Swing Music. Dances are $10 for adults, $5 for students (must have valid ID) and free for all under 5 years of age.